A true "50/50" dual sport tire, the K60 Scout brings a proven balance of performance on- and off-road. With an improved tread and compound, the Scout delivers better cornering stability and wet weather grip on the pavement, while delivering off-road as well. The "chevron" style tread pattern is similar to full knobby designs which provides lots of open space between the tread blocks to route sand, mud and water from the contact patch while constantly keeping some rubber in contact with the road as the tire rotates. This tire is a stand-out as it does not sacrifice on-road longevity and adhesion to the pavement for off-road traction. A difficult feat for any tire to accomplish. 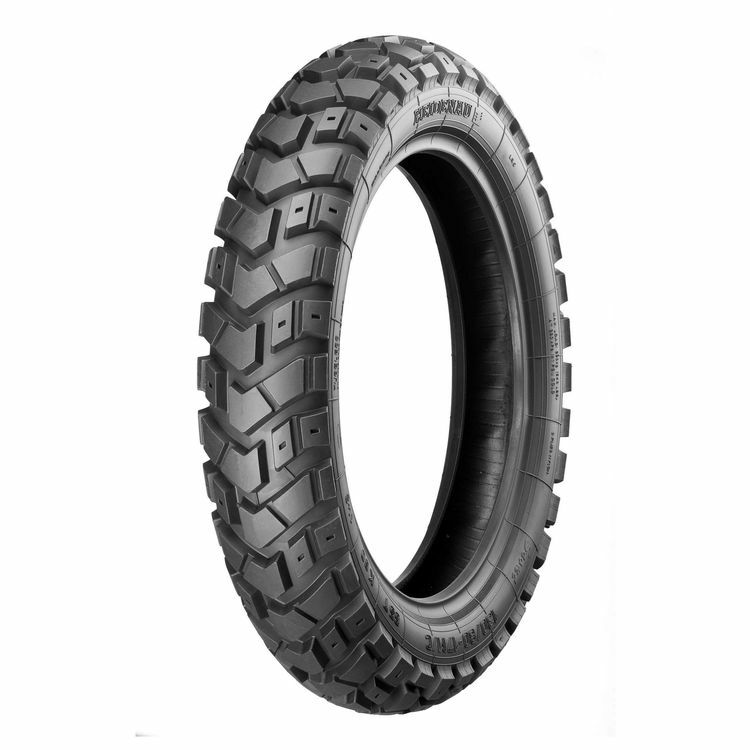 Note: Each K60 Scout tire size features its own unique tread design optimized for that tire's size and the needs of the bikes it will typically be installed on. Some rear tires have a chevron style thread while others have a continuous strip in the center.